For over 30 years Norpoint has built a reputation on ensuring the highest quality standards in the industrial coatings industry. We have pushed new boundaries by constantly innovating the technologies we utilize, modernizing our equipment, offering comprehensive training within our workforce, and providing a lasting commitment to our clients. Norpoint has built a reputation on ensuring the highest quality standards within our industrial abrasive blasting, sandblasting, surface preparation and coating services.  Our company is recognized as ISO 9001:2015 certified by the International Standardization Organization. This distinction assures our clients we are committed to productivity, quality, and cost efficiency on every project. Safe work practices are vital to every industry and at Norpoint we utilize every opportunity to promote, train, and encourage safety to be a part of our culture. We take great pride in our outstanding safety record and hold partnerships with the Alberta Construction Safety Association, ISN, Avetta, Comply Works, and many other organizations. We operate from Edmonton, Alberta, providing shop & field support services throughout Canada supporting oilfield, pipeline, natural gas, construction, facility maintenance, new construction, turnaround, and industrial fabrication industries. Let us know how our expertise and commitment can be of assistance on your next project. Our employees are at the core of everything we do. At Norpoint, we recruit and retain an expert workforce by promoting a safety-conscious environment with competitive pay, under professional leadership. By having outstanding employees we are confident in each of our team members to provide expert advice to our clients at every stage of their project. Norpoint is recognized and certified with the ISO9001:2015 distinction and has a workforce of over 15 NACE Coating Inspectors on staff, including level 2 and 3 certifications. For over 30 years Norpoint has imprinted our core philosophy into everything we do. Our core values represent our commitment to building lasting relationships with our clients. We have earned our reputation in providing quality services and workmanship in the industrial abrasive blasting, sandblasting, surface preparation and coating industry. Our shop & field services provide support within Alberta and across Canada. Let us know how we can assist you on your next project.